Yes you heard me right! I’ve got a healthy muffin recipe for you! These Healthy Breakfast Blender Banana Muffins are the BEST!! You can eat them as a snack, as a breaky option but also as an after dinner treat if you have a sweet tooth! 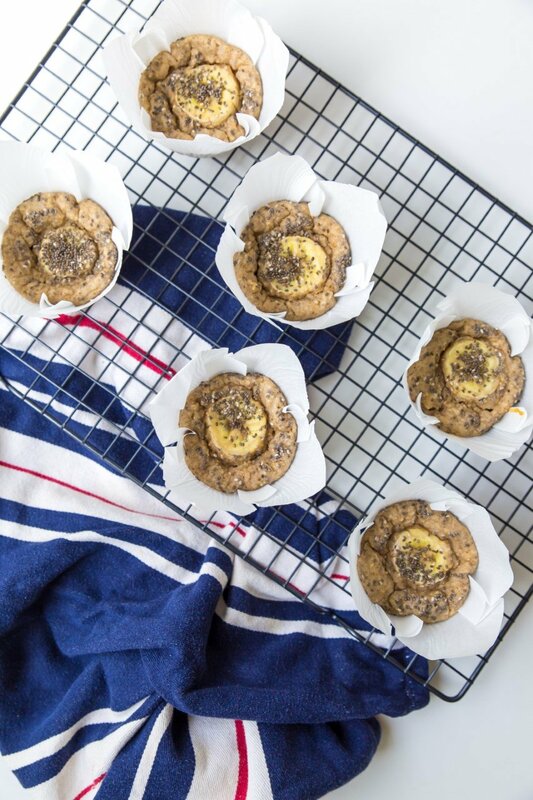 The amount of protein, fibre and healthy fats in these muffins make them the best healthy banana muffins around and will keep your blood sugar levels stable too! The fact that you can just thrown all the ingredients into a blender and make them in about 5 minutes makes them the perfect meal prep option tpp! The combination of spices in these healthy muffins makes them super tasty too whilst keeping the sugar content low. If you’re looking for a healthy breakfast recipe that can be whipped up in minutes, look no further than my Healthy Breakfast Blender Banana Muffins. Each muffin provides (roughly depending on brands used): 105 calories per muffins with 4.5g protein, 16g carbs, 2.1g fibre and 2.6g fat. Thanks for the recipes on your site! I’m aboit to make your Savoury Muffins this weekend. At only approx 95 calms and all those veggies they sound wonderful! How many calories do you estimate are in your Healthy Breakfast Blender Banana Muffins?